Google promises that the quality of information found on the internet (whether on depression, or leasing a car) can be inferred through its search rankings. However, often the author's credentials are unclear or inaccurate, or the commercial sponsorship of a site masked. Currency of information is another problem. Despite these concerns, we rely on the internet to make important health and financial decisions. However, free information can be harmful information. Like consumer health, the internet has put the health of commercial book publishing at risk. Among other things, it has depressed the value of commercial nonfiction. According to the Association of American Publishers (AAP) StatShot report for October 2012, nonfiction sales are down. So, how does an ailing industry compete with free? What would it take to get readers to flock back to stiff backed hardcovers, quality paperbacks, or download a pricey eBook? Simple. A seriously injured mushroom hunting enthusiast led astray by an anonymous Wiki contributor who misidentified a poisonous mushroom as a "safe" and delicious substitute for store bought 'shrooms. Bad information is never cheap. That's the "Got Milk" message the AAP should shout from the roof tops. Blogs and Wikis kill! AAP member publishers bring great ideas to life! 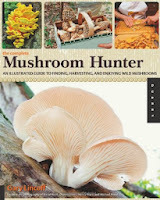 A dead mushroom enthusiast would open the door for the AAP to extoll the virtues of curated mushroom non-fiction. For Immediate Release. If you are working on any stories regarding the recent mushroom poisoning deaths and health risks associated with un-curated information found on the Internet, we at that Association of American Publishers can provide a publishing industry expert for any relevant stories you are working on. Wikis kill. We 'bring great ideas to life." The Ninth Circuit Court of Appeals recently defined the term "negligent publication" as "a narrow tort in which the publication of material encourages or instructs readers to engage in harmful conduct." The internet is rife with negligent information. The internet is a creepy, shadow universe of unverifiable facts, pedophiles, snake oil salesmen, substanceless self-promoters and sock puppets. Do I really believe this? While there's truth in that statement, there are "flowers among the weeds." I can envision the news coverage. During the "negligent publication" trial, television journalist, legal commentator, and cookbook author, Nancy Grace convicts the Wiki author in the court of public opinion. The hashtag "mushdoom" starts trending. The show runs a crawl at the bottom of the split screen. "Did blogger kill 32-year-old mushroom hunting mom?" For quick commentator analysis the show cuts to a commercial publisher, who talks about the publisher as curator, author credentials, branded content. "The reader's death was foreseeable, and wouldn't have happened but for a poorly researched Wikipedia article on edible mushrooms." The message being, "You should carefully consider the source of the information." If you felt a tap on your shoulder as you read the above paragraph, likely it was the First Amendment wishing to remind you that books are not products, and, historically negligent publication cases have gotten little traction in the courts. But, the value of a negligent publication lawsuit isn't in getting a conviction, it's the promotional value -- getting readers to question what they read. And, to gain an appreciation for the value of a book curated by a reputable publisher. Upon books by mainstream publishers you can rely. Blogs not so much. The tension between copyright and free speech, which the internet has exacerbated, has hurt traditional copyright monopolists. The way I see it, trademark is the new copyright. It is the key to competing with free. Just like antivirus software which scans for suspicious files and protects your computer, a trademark filters high risk information. Without trademarks, John Oathout, author of Trademarks, says "consumers would have no basis for selection or rejection, or any assurance that a particular product is the product they are seeking." Regrettably, though, publishers have undervalued the goodwill associated with their colophons and imprints for years. If publishing houses wish to remain standing, their colophons and imprints need to stand for something. 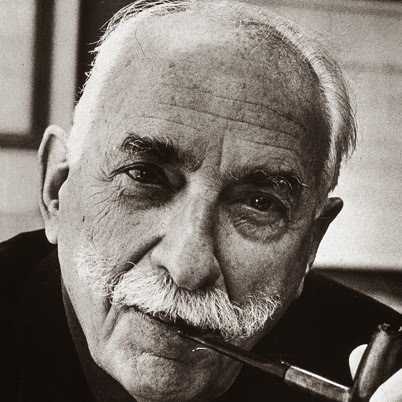 Alfred A. Knopf (the man, not the imprint) was keenly aware of that proposition when he wrote The Borzoi Credo, a publishing manifesto which appeared in the November 1957 issue of The Atlantic Monthly. It read, in part, "I believe that a publisher's imprint means something, and that if readers paid more attention to the publisher of the books they buy, their chances of being disappointed would be infinitely less." 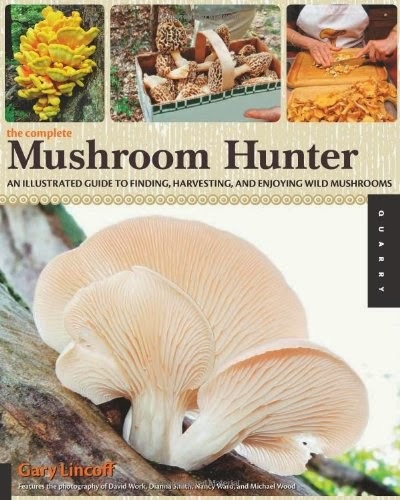 If I were publisher of Peterson’s Field Guide to North American Mushrooms, I'd consider one severely ill (or, better yet, deceased), penny wise, but dollar foolish, mushroom enthusiast who relied to his detriment on a Wiki, manna from heaven. Disclaimer: This is a satire. A book published by a commercial publisher can be as dangerous to you health, wealth and well being as a blog written by a self-appointed expert, or a self-published book on a trending topic like safe self-surgery (#SSS). As the authors of a study on the quality of web based information on the treatment of depression wrote, "The real challenge is to devise strategies that selectively eliminate the weeds but leave the flowers to bloom." Let the reader beware! Alfred A. Knopf's Borzoi Credo. Quality of web based information on treatment of depression: cross sectional survey Griffiths, K., Christensen, H.